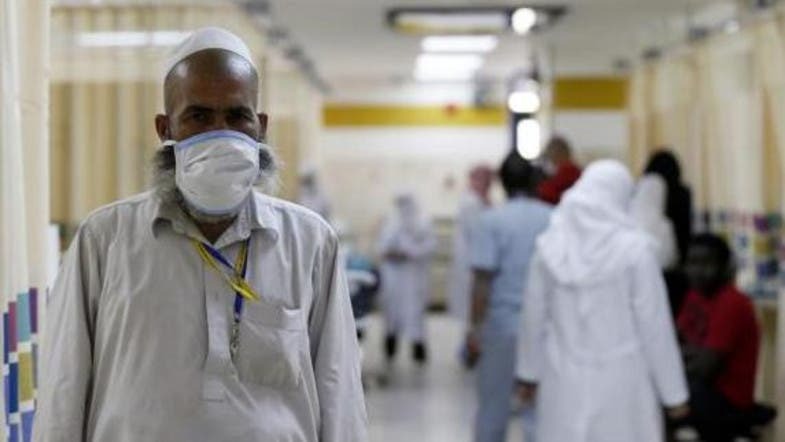 The rate of new Middle East Respiratory Syndrome Coronavirus (MERS-CoV) infections and deaths have slowed down, the Ministry of Health announced on its official website. According to the ministry, only two deaths and two new infections were reported during the past week. Six patients fully recovered from the virus and were discharged from the hospitals they had been admitted to. Three of the recovered patients — two women and a man — were confined to a government hospital in Riyadh from which they were discharged on Saturday. The ministry said one new infection case was reported during the past 24 hours in Jeddah. The patient is a 60-year-old expatriate. Since the virus was first discovered in the Kingdom in September of 2012, a total of 959 people have been infected of which 522 fully recovered and 418 died. Currently, a total of 17 patients are undergoing treatment in hospitals all over the Kingdom and two have been quarantined in their homes. Meanwhile, Dr. Tamara Tayib, leader of the Confrontation Team at the ministry's Command and Control Center said new laboratories will be established in Riyadh, Jeddah, Dammam, Makkah and Madinah to test for the virus. Previously, samples were sent abroad for lab tests. She said the new labs would be established through the help of specialists from the World Health Organization (WHO), the American Center for Disease Control (CDC) and the British Health Protection Agency (HPA) in addition to a number of experts from American, British and Canadian universities. Tayib said Ghusl (washing of the dead according to Islamic principles) of patients who die of coronavirus will only be carried out in hospitals under strict supervision. “The dead will be washed and wrapped in a plastic bag before the bodies are handed over to the families and relatives for burial,” she said. Dr. Tayib denied that coronavirus cases were on the rise and said the numbers seemed to increase because the monitoring and surveillance of the virus has significantly improved. “People are now quickly reporting any suspicious cases,” she added. This article was first published in the Saudi Gazette on March 23, 2015.